California winemakers were early to adopt stainless-steel fermentation tanks and fittings, one of the major innovations in 20th century winemaking. Stainless-steel tanks were easily cleaned and prevented bacteria from spoiling wine. 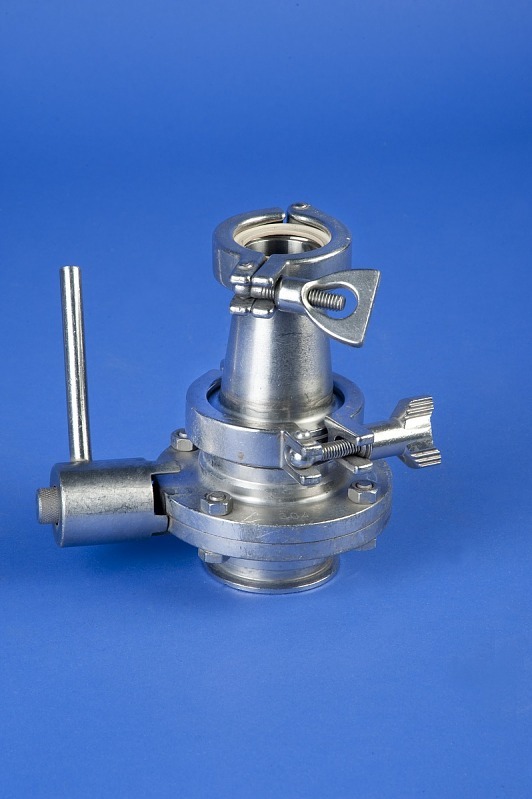 Fitted with temperature-monitoring metal jackets, they also allowed more control over the temperature of the wine during the fermentation process. Winemakers discovered that stainless-steel tanks produced a more stable, flavorful result, especially with white wines. These fermentation tanks developed by Silicon Valley engineer and winemaker T.J. Rodgers help researchers at UC Davis monitor and regulate fermentations with new precision. In the 1990s Rodgers devised a way to monitor real-time changes in temperature and sugar levels and make adjustments using programmable computer chips embedded in the tanks. 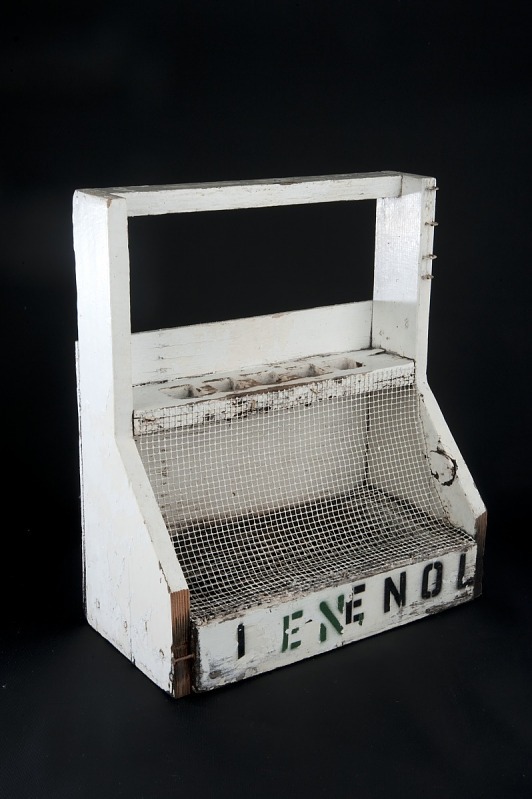 This handmade carrier was used in the enology labs at the University of California, Davis, for carrying hydrometers from one work area to another. Gift of University of California, Davis. 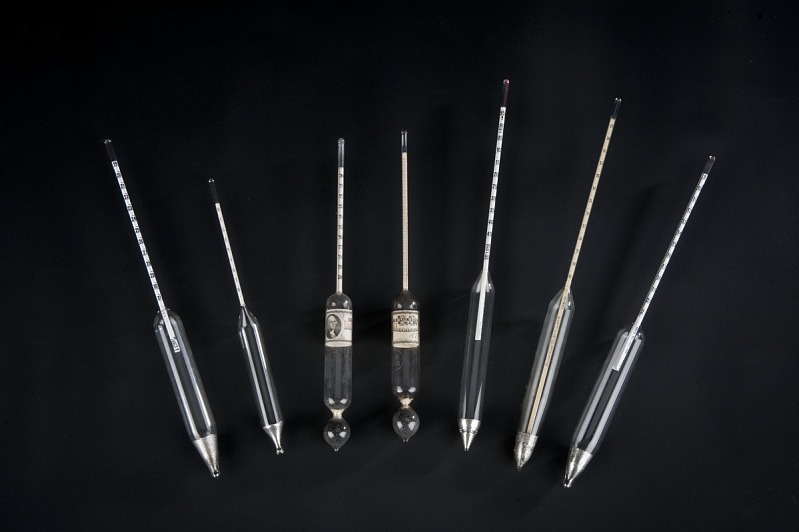 Winemakers use hydrometers to monitor sugar levels during fermentation. Gift of University of California, Davis. 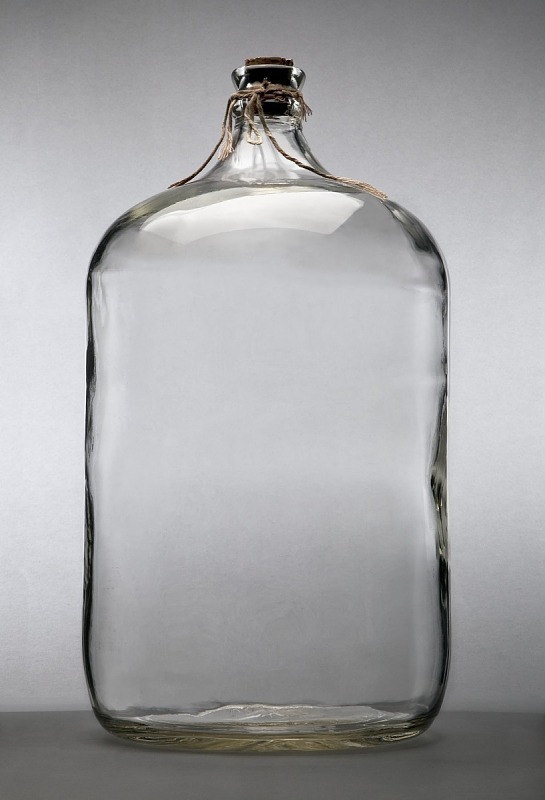 Glass carboys stored wine for research. Gift of University of California, Davis. The wine cellar in the enology building at UC Davis, held a wide variety of wines produced by faculty and students since the late 1930s. University researchers kept the wines for analysis and study, a resource that contributed to improvements in wine production.